A conspiratorial grin came over me reading the quote above from the intro to Faking It: Manipulated Photography before Photoshop, a current exhibit at the Met. I prefer a natural look in my portraits so Photoshop is not a big love. Even then, between styling and lighting choices, how I coach posing, and the angles from which I photograph, the camera becomes a tool for telling my version of a truth. 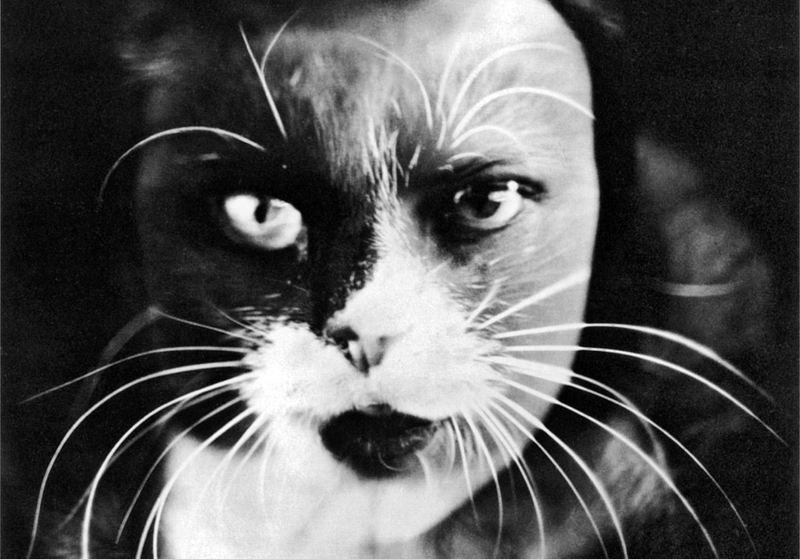 So, yes, Edward Steichen may be right is saying “Every photo is a fake from start to finish” considering how each of us chooses what truth we want to believe in to cope, flourish or dominate. 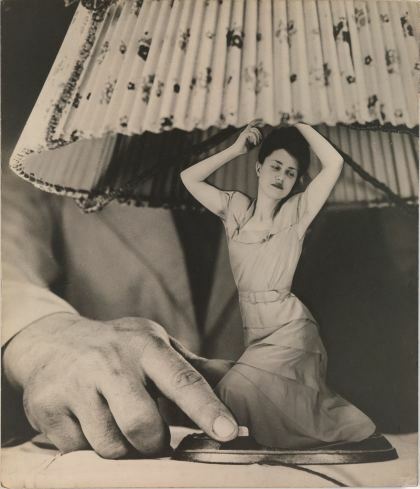 You’re not likely to catch me cutting and pasting multiple negatives to get a woman to sit in a champagne glass, superimpose a figure on a lamp, or create a fantastic cat woman’s face. 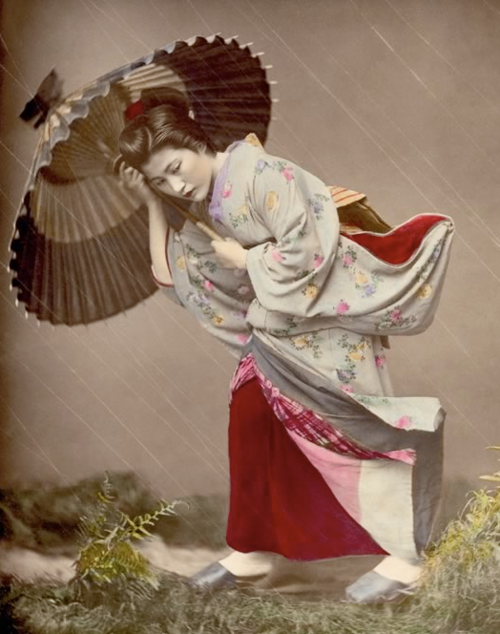 I’d sooner use a fan to simulate the vision of gusty winds though I’m not beneath tying strings to pull the seams of a kimono. Yet who knows? 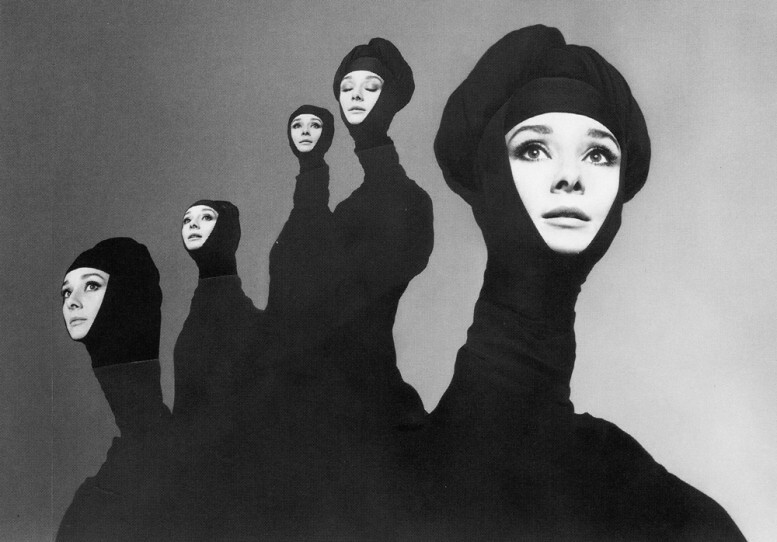 One day, my curiosity may lead me to investigate how Avedon created his simple Audrey Hepburn collage. We all enjoy a creative trick that enthralls and keeps us guessing, be it a tall tale or a political statement using humorous juxtapositions, tweaked photojournalism or clever photomontages. When we choose the wrinkle free and less pudgy images of ourselves, what does this say about our love affair with denial? Having to endure the harsh critic in our mirror everyday, a portrait of ourselves in our best light can be a treasured reprieve, if not a siren call from our true greatness. 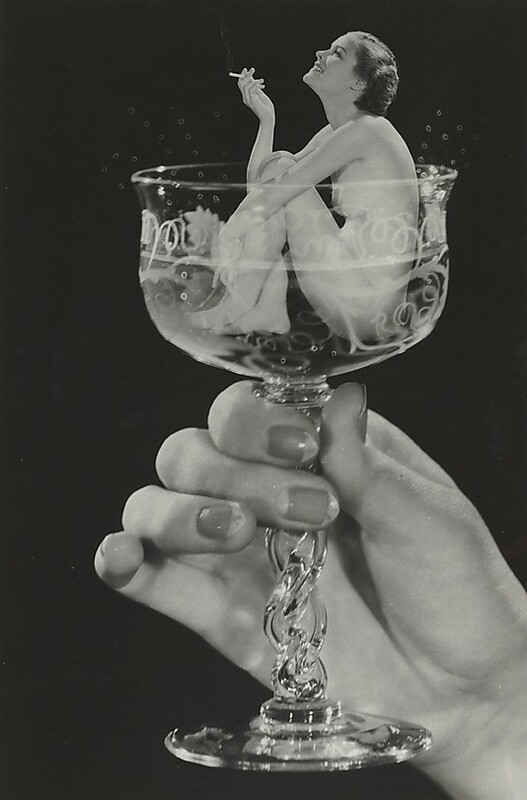 Photos on this page are selections from Faking It: Manipulated Photography Before Photoshop, exhibit on view at the Metropolitan Museum of Art in New York City through Jan. 27, 2013. 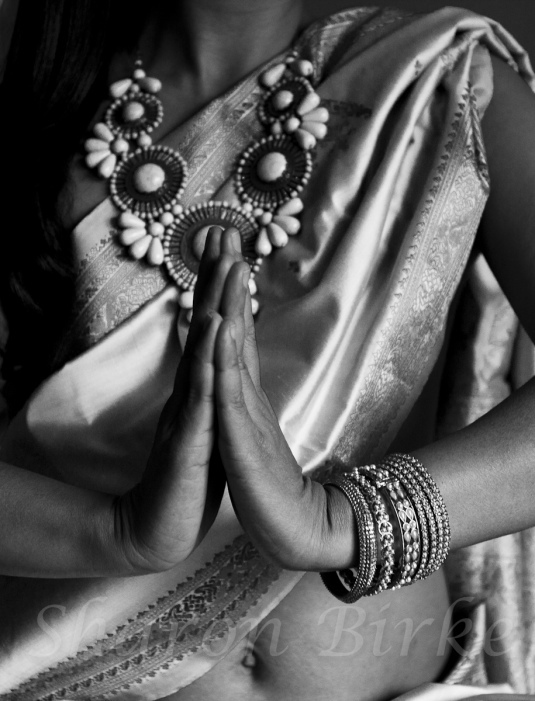 Author Meryl Davis Landau (Downward Dog, Upward Fog) writes in Huffington Post about gurus who admit they are only human, too: How Three Top Yoga Masters Find Balance, Both On and Off the Mat. Seane Corn, cofounder of nonprofit activist group Off the Mat, Into the World: I used to feel envious of people I felt were living their lives fully in ease and integrity. Now I recognize that no matter how I might perceive them, everyone is dealing with issues that I can’t begin to understand. If a shadow of judgment towards others comes up, I’ll immediately come back to me: What’s coming up for me, what does it remind me of, how can I heal it in myself? John Friend, founder of Anusara Yoga: After getting over the feelings of betrayal and violateion when my bookkeeper embezzled all my money, I applied the ‘three As’ from Anusara yoga. Attitude, in terms of first opening myself to the pain without denying what I was feeling, but then being optimistic that I had the capacity to get everything back. Alignment, by, instead of putting all the blame on her, taking responsibility that I had put myself in that situation by turning my finances over to another person. This calms the mind because by taking back control I knew I was reducing the likelihood it could happen again. And action, by creating a plan to get money in the bank to pay the bills. Ana T. Forrest, creator of Forrest Yoga and author of Fierce Medicine: Never waste a good trigger. Triggers — something someone says that gets you white-hot angry or terrified out of proportion — are horribly uncomfortable, yet they can teach you so much. My own childhood abuse led to two key triggers: my quickness to anger and my tendency to plummet instantaneously into an emotional abyss. A messy room left by my ex triggered my ‘unable to deal’ avoidance feelings and heart stress. He left in March 2008, but I was retriggered by this again just the other day. I intend to clear any and all emotional trash that I find connected to this. I am okay with being a work in progress. My philosophy encompasses growing, making mistakes and learning from them as a lifelong process. How do you pay attention to your Inner Guru?